Certified to BS EN 14175. Twin-skin shell in distinctive styling and a choice of colours and finishes. Sprung PVC guide channels for directional stability with smooth rise and fall sash action. High Sash version available to suit customer requirements. Fire resistant twin skin shell. Choice of mechanical and electrical services. Sinks and drip cups available in a full range of sizes. Sash handle profile designed to improve containment within the work chamber and reduce eddies. Interior chamber smooth and easy to clean and maintain. Unique sash locking device for operator protection. Adjustable baffles to ensure optimum containment levels on site. Factory pre-plumbed and pre-wired for rapid on-site connection. 6mm thick toughened glass sash. Sash counterbalance using double stainless steel cables and ball race pulleys of the fail-safe design. 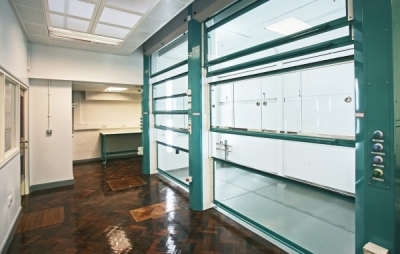 The Radius Profile Fume Cupboard significantly enhances performance. The smooth curved inlet delivers ultra-containment by eliminating air eddies in the chamber. 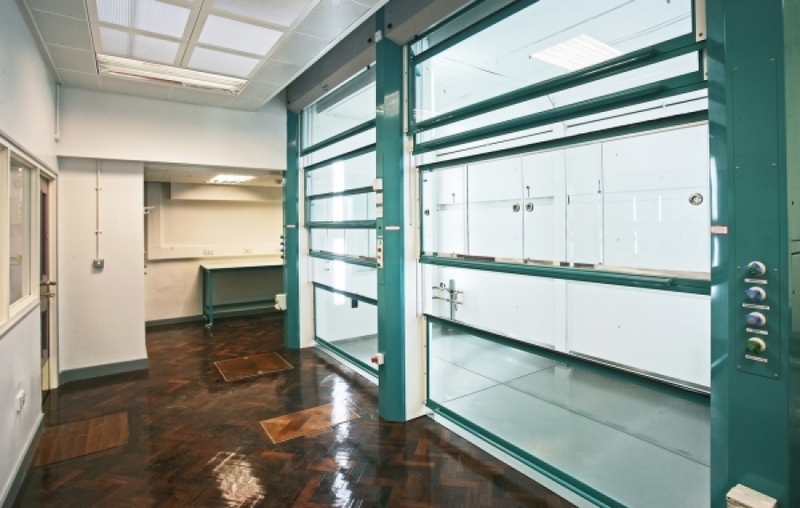 Independent testing has confirmed the highest level of containment currently claimed by any fume cupboard manufacturer, with a Robustness of Containment Protection Factor (PFR) of >4,500,000 for all widths at 0.5 m/s face velocity. The Radius Profile Fume Cupboard is ideal for projects with large quantities of mechanical and electrical services. The robust design is engineered to outlast contemporary fume cupboards. Certified to BS EN 14175, exceeds proposed UK Band 1 recommended values. A touch button control panel assures maximum control for fan switching and provides safety features at your finger-tips. Alarms for air velocity, sash high and fan operation ensure your cabinet is always operating to maximum protection. Alarm levels are reported on the display and activate a buzzer. Optional volt-free contacts may be used for remote monitoring of cabinet.